Small, delicious and incredibly tasty, perfect in their simplicity to accompany the special moments. Sunday breakfast at home, an afternoon with friends, a snack with the children. Often the things we consider "special" are the simplest ones, made of time spent with the people we love and good and reassuring things. Like the apple tart, a timeless dessert made even more fanciful and convivial if turned into so many tartlets to share. That's why the recipe we are proposing is really simple, perfect for special moments! The shortcrust pastry made as it once was wraps a soft apple heart, apricot jam and macaroons. But not just any apple, but the Renetta Melinda apple, which in the oven releases all its sweetness while remaining soft and compact. 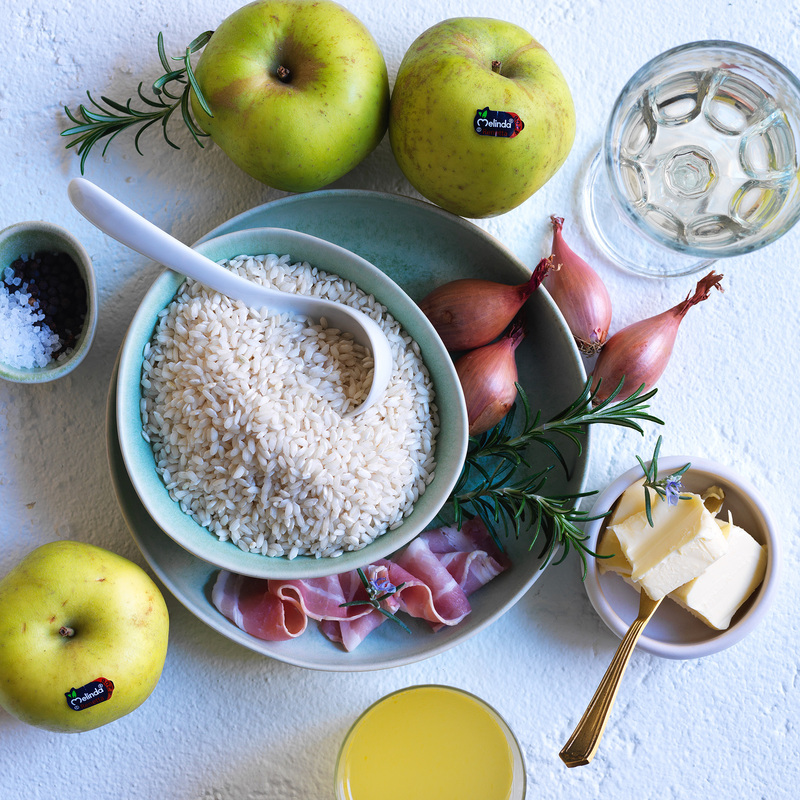 A true ally in the kitchen, and a true ally of health: in its sweet and juicy pulp the polyphenols are hidden, indispensable for our cell renewal. For the shortcrust pastry, work 150 grams of butter at room temperature in a planetary mixer with the egg yolks and sugar. Once a cream has formed, add the flour and salt and stir quickly until the dough is crumbly. Wrap it in a food film and let it rest in the refrigerator for about an hour. After the indicated time, spread the pastry in a thickness of about 3 millimeters and line the tart molds with the removable bottom. With the prongs of a fork, prick the bottom of the dough and place two tablespoons of apricot jam on top, spread well over the entire surface and crumble two macaroons on top. Peel the apples, remove the core and cut them into slices, sprinkling them with lemon juice. Then arrange the slices in a radial pattern on each tartlet and finish with flakes of butter and a spoon of sugar. Bake at 170 degrees for about 25-30 minutes.